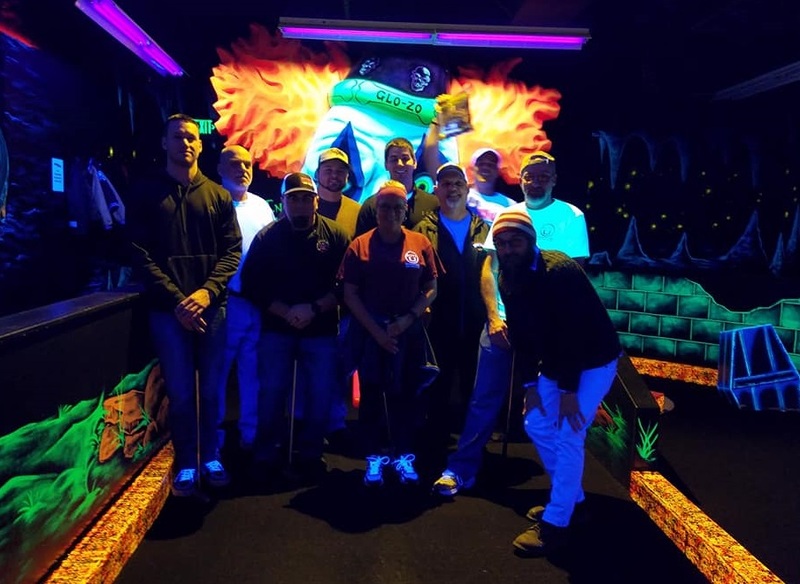 The Towson, Maryland Monster Mini Golf was the site of the second leg of the Greater Baltimore Mini Golf Winter Tour on February 10, 2018. You can read about the first leg of the tour in our article here. This event saw a slight uptick in players as 11 participants joined the field for the one round tournament through the blacklight course. This time around Rory Averett nipped the top spot away from the previous event's winner, Elmer Lawson, by shooting a 46 for the tournament as compared to Elmer's 48. Elmer would hold onto the second spot by a mere one stroke over Adam Sagoskin. Tournament director Rob Cataldi had this to say about the event, "It was a good turnout. Good competition at the top with 4 strokes separating the top 5." The next event on the tour will take place on March 10 and return to the Colombia location. You can check out the tour Facebook page for more information about their tour events, complete results from the events and the current standings on the tour. You can also follow them on Twitter or Instagram. The Greater Baltimore Mini Golf Tour would like to thank the following sponsors: Glory Days Grill, Buffalo Wild Wings, Chesepiooc Real Ale Brewery, Big D's Clubhouse, Red Truck Beef Jerky, Dave & Buster's Hanover and White Marsh, MD and Vocelli Pizza locations in Glen Burnie, Pasadena, Bel Air and Crofton, MD. Information for this article was provided by the Tour.